Setting up the Solstice Pod is easy. The information below will guide you through getting your Pod up and running quickly, to test performance, and to take a first-hand look at end-user features. Solstice Pod, HDMI cable, and 12V power supply. Your Solstice Pod can be configured through the Pod’s configuration panel which can be accessed locally by connecting a USB mouse and keyboard to the Pod. Alternatively, you can also access the panel via a web browser from a separate device by entering the Pod’s IP address and selecting ‘Configure’ in the lower left corner of the Quick Connect Page. Please note: In most cases an IT administrator will be needed to ensure Solstice is properly deployed on your network and is in compliance with your organization’s IT policies. The Solstice Pod is designed to attach to existing WiFi/Ethernet networks that users can access to connect and share content to the Pod. The Pod hardware includes two distinct network interface cards – one Ethernet and one wireless card – to provide options for network connection. Attach via Ethernet (Recommended). The recommended deployment method is to attach the Pod to the primary user network via Ethernet. To do so, simply plug in a network-connected Ethernet cable to the Ethernet port located on the back of the Pod. Attach Wirelessly. Alternatively, the Pod can be attached to the primary network wirelessly if an Ethernet connection is not available in the deployment space. To attach the Pod wirelessly to the host network, visit the ‘Network’ tab of the configuration panel, scan and select the correct network, and enter connection credentials. Dual-Network Mode. Many deployments take advantage of the Pod’s dual-network mode to support secure collaboration between users on separate networks, such as corporate and guest users. Attach the Pod to the primary network via Ethernet and connect to the secondary/guest network wirelessly. Note: the Pod’s two network interface cards are completely distinct with separate routing tables, enabling seamless collaboration without compromising the security of either network. Important Note! The Pod is shipped with the Wireless Access Point (WAP) enabled to make it easy to connect and evaluate Solstice’s collaboration features. However, WAP mode is not recommended for long-term deployment for security and performance reasons. To learn how to deploy in WAP mode, click here. Downloading the app and connecting to the Solstice enabled display is as simple as following the instructions on the Welcome Screen. Enter the IP Address shown on the display into a browser on your device. Click the ‘Get the App & Connect’ button and run the downloaded app. Please note that your device must always be on the same network as the Pod to connect. Admin permissions are not required to install the Solstice app. Want to set up Discovery? ‘Display discovery’ refers to the ability for a user with network access to ‘discover’ which Solstice displays are available for connection on the Solstice app. Follow the instructions in the SDS Guide. Once you are connected to the Pod, there are multiple ways you can share content from the app. When you connect to a Pod, you’ll be presented with the sharing panel. The sharing panel allows you to toggle on/off sharing various content sources to the screen. 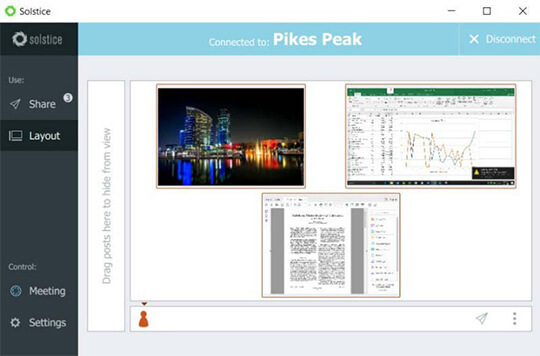 From PC-based devices, you can share desktops, application windows, images and videos. 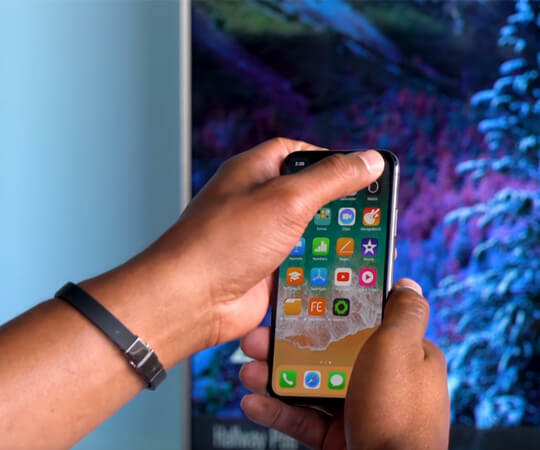 From mobile devices, you can share the device screen, images and videos stored on the device, and even images/videos captured live from the device camera. 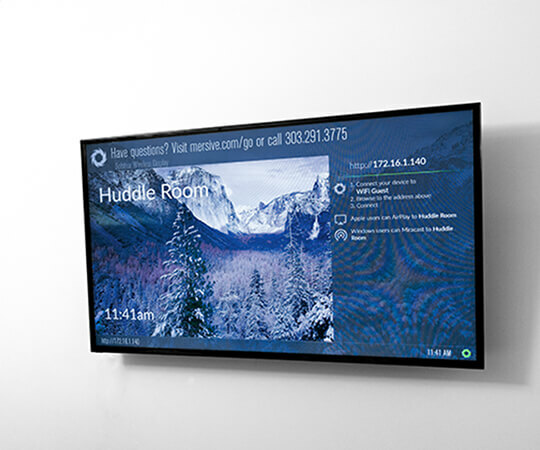 Solstice can be used for digital signage when there is not an ongoing collaboration session. Solstice gives you the ability to stream videos from the iOS YouTube app to the display.